Pay Per Click(PPC)-Ad wards Campaign Gives you instant reach of your brand, business to larger audience. Runninning a successful adwards campaign, the most important part is perfect keyword planning. Pay per click is an online advertising platform and internet marketing tool where user advertiser is charged when any visitor clicked on their ads. There are many tools like Google Adwards, Bing Ads, Facebook Ads, Youtube Ads for setting up your PPC Campaign. PPC is the most important and primery stage to start with paid online advertising, which helps in lead generation & sales optimization. By Running PPC Campaigns it will show the advertise of your product, service or your website in Search Engines or similar platform where your PPC Campaign is running. It shows the ads in relevant search or exact keyword search related to your business. 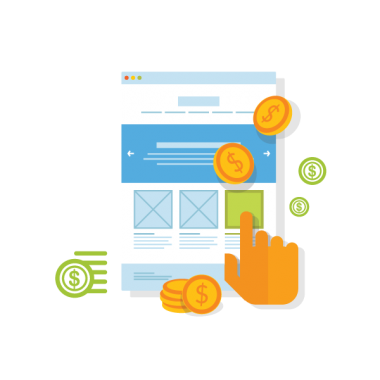 Our PPC Strategies are designed to meet the complex needs of the clients according to their budgets and benefits. We have customized and Updated strategy for each business and services. Our PPC Service includes Paid Search, Display Ads, Video Advertising etc. We deliver the client their desired result, which ensures the ROI. We Manage and Monitor client's account daily basis.